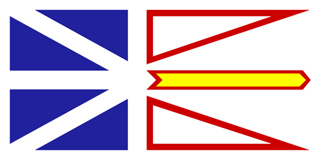 The Canadian province of Newfoundland and Labrador is Canada’s easternmost province. Newfoundland’s rate of alcohol and drug addiction is nearly 13%. This places it among the provinces with the greatest problems with addiction in Canada. As its name suggests, the province of Newfoundland and Labrador is actually made up of two parts: the island of Newfoundland and mainland Labrador, which is located to the northwest of the island. More than 90% of the provinces’ half-a-million residents live on the island of Newfoundland and its associated smaller islands. Mining, oil production, fishing, and agriculture are all important components of economic life in Newfoundland and Labrador. An estimated 20,000 of the residents of Newfoundland and Labrador are addicted to drugs or alcohol. Unfortunately, there is only one detox facility and three residential facilities in the entire province. Each of these can accommodate only a small number of clients at a time. There is also no long-term residential facility to accommodate those who commit drug-related violent crimes or to help those suffering from chronic alcoholism. Clearly, most residents of Newfoundland and Labrador need to look to other provinces for residential addiction recovery care. Sobriety Home is a private residential drug and alcohol addiction recovery center located near a short drive from Ottawa. Not only does it offer comprehensive recovery treatments in an exquisite setting to clients across Canada, but it also offers long-term follow-up for those out-of-town clients through the Aftercare program. St. John’s is the provincial capital of Newfoundland and Labrador. The Census Metropolitan Area of St. John's is the fastest growing in the province. It is currently home to nearly 200,000 residents, which comprises nearly one-third of the entire population of the province. According to the 2003 Newfoundland and Labrador Student Drug Use Survey, 36% of Newfoundland students reported using alcohol, cigarettes, or another drug in the previous year. Alcohol, cannabis, and tobacco were the drugs most commonly used. In addition, 18% admitted to driving a motor vehicle within an hour of using alcohol, and 20% drove a motor vehicle within an hour of using Cannabis. In a 2007 study conducted in collaboration with the Royal Canadian Mounted Police, Dalhousie University, and the Newfoundland and Labrador Health and Community Services, use of street drugs such as ecstasy is a growing problem among students in the region. One St. John’s-based drug counselor identified marijuana, cocaine, and ecstasy as the drugs of choice among Newfoundland’s youth. On the positive front, use of alcohol appears to be decreasing, as the use of tobacco cigarettes. Alcohol and drug abuse remain a factor in a large proportion of cases of domestic abuse that occur in St. John’s and other regions.